If you were wondering how to travel the world for free you don’t need much but a desire to get to your next destination, patience and elbow grease to make extra cash along the way. This morning I read about a couple who left the USA to travel to Nicaragua for a few years to experience the lifestyle and in search of comparable healthcare in the USA. I thought it was brilliant that they would take such a chance as to pick up and move from where they were comfortable to a place where they had to learn from the bottom up. They seem to love it in Nicaragua and of course have learned what they can and can’t do but for the most part they said living was much cheaper. Who could complain with a beer for under a $1.00, right? The article reminded me of my friend Pauline who blogs at Reach Financial Independence who now lives in Guatemala and is doing very well for herself. You can follow her adventures on her blog and she even wrote a lovely guest post here at CBB about making the best of what is available. Sometimes we feel we need to have this or that but typically if we just use what we have we can create beautiful meals like Pauline shares. How much does it cost to travel the world? Good question but today I’m going to share with you just a bit about how you can travel for free. I came across this article of a guy who named Tomislav Perko who was a young stock broker in Croatia at age 23 and apparently a cocky one because he felt he had it all. He was young and bringing in up to $10,000 a month living the lifestyle of the rich. That’s not surprising but what happened next did surprise me. He managed to gather up $30,000 from relatives and friends for him to invest. Remember to always do your homework first before just handing over your money even to someone who says magic will happen. With the 2008 financial crisis in the USA they all watched their money flush down the toilet and said bye bye to $30,000. Never promise what you can’t deliver even if in the moment returns are high and you think you can’t go wrong. I’m sure he knows that now. 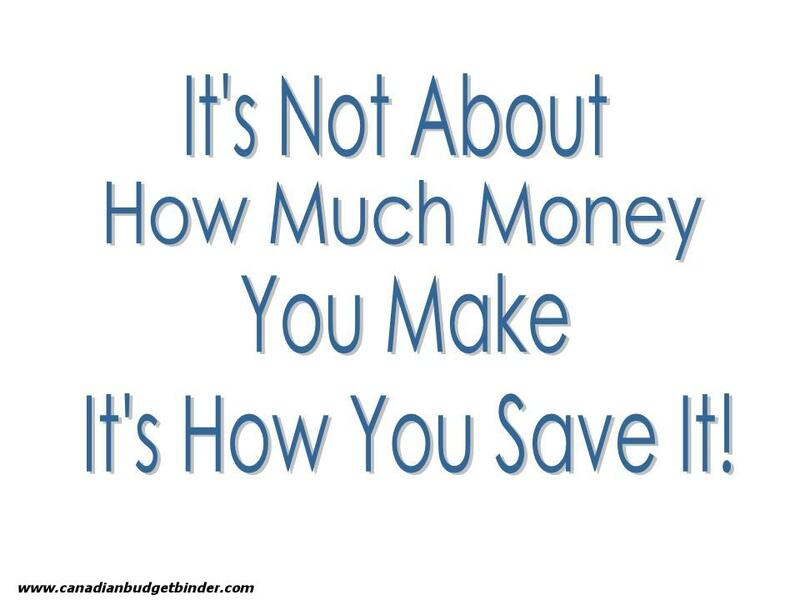 I often tell everyone nothing is for certain so be prepared for the worst if you plan to invest. So instead of hanging out at work listening to customers who were frantic about their investments he packs it in and says good-bye to his career and moves on. What happens next was kind of cool. He then decides to take a job in a Croatia waiting tables and runs into this guy who tells him about this website couchsurfing.org which I’ve heard of before myself. It’s people who let you crash at their house for free all around the world. Hey, if you want the company I guess any stranger will do but this website is popular with those like Tomislav who start their adventure to travel the world. His 2011 adventure began as “1000 days of summer” where he was even sponsored by MasterCard to the tune of $1000 a month to mention them here and there and sport the MC logo. Not a bad deal if you ask me. When I read that it reminded me of that post I wrote a few weeks back about the kid who had his McDonald’s receipt tattooed on his forearm. Great advertising. So Tomislav sets out to travel the world on a tiny budget of just $10 a day, $30,000 in debt and $1300 in his pocket meaning he needed to find work along his travels to get him by. Nothing in this life is for free that is for sure but if you are persistent and look you can find free deals everywhere. His travels were strategically planned so it would fit his budget. Smart if you ask me. He found not only places to sleep in exchange for some volunteer work in the Himalayan mountains but even a yacht that took him for a long trip over 36 days to his next destination. It was interesting to learn that captains use a website called findacrew.net to search out people who need a lift in exchange for helping them out. Brilliant if you ask me. Along the way he was also a painter and a kitchen helper. What was not surprising was the amount of people that helped him and from what I read his travels have made him somewhat of a celebrity and he even blogs about it all. He did return home for a bit before returning to Kenya but this time with his father who he wanted to take along with him. A second return home he fell in love and the rest of his travels were in the company of his lovely lady through Peru and Ecuador. Not only does he want to become self-published and went on a mini book tour the last 50 days of his journey back home he wants to speak and encourage people to travel. You have to read the full article on Tomislav and his journey for free in 1000 days in much more detail of his personal experiences that will bring you to a place that some only dream of. The photos will open your mind to what we are all missing especially if you don’t travel. What interested me in his travels was the fact that when I lived in the UK I not only loved to surf but I was passionate about travelling. I was never afraid to meet people or try something new. Although I don’t get over weeks holidays in Canada as I did in the UK like Tomislav when I was in my twenties I travelled as much as I could. In fact I’ve been to many countries around the world and loved every minute of it. I can sit and talk to my wife for hours about my adventures and she will be so tuned in because she has hardly travelled in her life. I was frugal along the way and had a budget but I managed to see what I wanted to although I could have certainly spent more time in each place. Now that I am married and a bit older (not too much, lol) and we are debt free I’d like to start planning some trips with my wife. Although I don’t think we will be getting free trips I certainly will do my best to make this and adventure for us both. Lots of people laugh at the amount of cookbooks and art that hangs on our walls and shelving around the house that I brought back when returning from my travels. They are memories along with thousands of photographs. I love to cook not because I was always in the kitchen growing up but because food is love and in cultures all over food brings people together. The world is a beautiful place and I think if you want to do what Tomislav has done than it is certainly possible, he’s proof of that. You can follow his travels on his blog 1000 Days of Summer. Sometimes we get so caught up with life, the career and the money like Tomislav that we forget that money isn’t everything. If you want to do something before your time is up in this world then get to it because you only get one shot. Would you travel the world for free if you could? If you wouldn’t go to the extremes that Tomislav did how else do you travel without spending a fortune but getting all that you wanted from the trip? If you don’t already know I have a second Facebook page online called The Free Recipe Depot where I share recipes from other Foodie Bloggers from around the world. 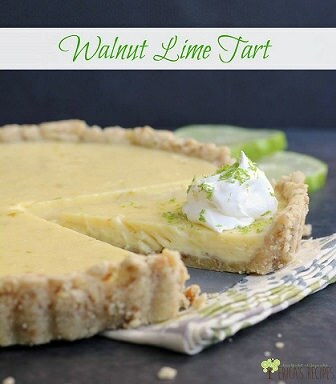 This week that recipe goes to a food blog called “Erica’s Recipes” with her Walnut Lime Tart. I absolutely love limes and walnuts so I can’t wait to make this for the wife and I. Thanks Erica! Do you hold an Easter egg hunt? Every week I share a few of the best personal finance blog posts that I read online over the past week with all of you so please enjoy my top picks. Well, that’s a wrap for this PF Friday’s Grab a brew #69. Happy budgeting and I’ll see you here again next week when I do it all over again. PF Weekly Grab a brew #65: Are tattoos the next advertising phenomenon? 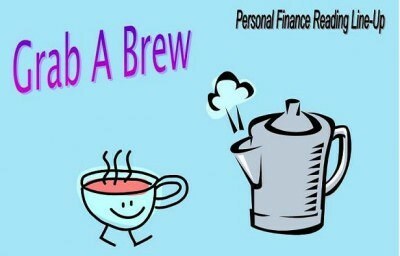 PF Weekly Grab a brew #66: Is the house the big problem or the price? PF Weekly Grab a brew #67: Would you buy a jar of clean air? Nice post! I would absolutely quit my job to travel the world! I could quite easily do it now with the way my life is…no spouse, no kids, no house…makes it easy to pick up and go. I just need a sponsor and some more cash on hand LOL! I heard of Couchsurfing two years ago when my friend and I were planning a trip to Italy that didn’t happen 🙁 We were also considering Agriturismo in Italy which allows you to stay at a fully functioning farm/vineyard for a low cost or in exchange for doing some work. I travel using hostels through Hostelling International or my airB&B app. Hostels tend to be cheaper, you meet people from all over the world, there is no age restriction and you can choose private rooms and private bathrooms if you are not into large dorms. AirB&B places can be a room in a house or a couch or huge apartment or house. I also use a hotel chain and have used points for rooms in major cities like London England although I have stayed at all the Hostelling International hostels in London and enjoyed them just as much if not more than the hotel rooms. Thanks for sharing your experience with the fans!!! If you plan on travelling the world, and picking up work as you go, make sure you have the proper visas for that country. I can only speak for Australia, but even doing work for free, is not permitted, without the proper paperwork. Coming into the country without the funds to provide for your self, you may find yourself denied entry and sent back on the next plane. Absolutely Yes! I hate/love the fact that we are tied down with our daughter being so young, but when she is older, she will be one of the most well-traveled kids! I am literally counting down the days until we are on more solid financial footing and can drop everything to travel. Great post! Same here mate. We want to travel so bad as it’s been so long for us. We both love travelling even though my wife has only been to a few places. I’m sure we will head back to UK next year for a visit! I think if it wasn’t for us having kids right now we’d totally do something like this. The little bit of the world of I’ve seen has shown me that there is so much to be seen out there and I love to experience different cultures. Something tells me though that Grandma & Grandpa wouldn’t appreciate us dumping the kids on them for God knows how long though, lol. Thanks much for the mention sir, I really appreciate it! Kids seem to be the deciding factor for many which leads me to say to anyone without kids, do what you want while you can lol. I’ve always been something of a home-body. Our travels have tended to be within the province, usually to visit family. We lived out east when we were first married for a few months before driving back. We also went to Victoria years ago for a friends wedding. Loved it put there!!! We flew at night both ways which was nice, except we didn’t sleep on the plane. The drive back from out east was lovely except for hitting Montreal during the evening rush, heading due west right into the setting sun in a small loaded down car that could barely make the speed limit. Montreal drivers…….. OMG!!!! A friend of hubby’s always wanted to travel when they were kids. After high school he wound up in Thompson Manitoba working the mines before signing up for the military. He saw a lot of this country that way with postings all over the country. As well he had postings to Cyprus (3 times! ), Bosnia,East Timor, and I think a few other places for shorter periods of time. I still remember him calling from CFB Alert a couple of times!!! He has since retired with many memories. Do you think if you had the opportunity to travel you would go? Thanks for the shout out! I’ve couchsurfed before and have been amazed at the generosity of people. My past hosts have not only given me a place to stay, but have also offered me food, rides, and have even served as personal tour guides.